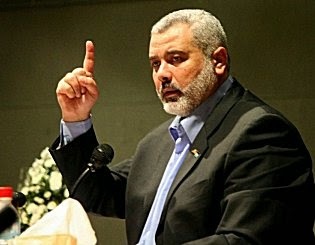 Israel says it has allowed the mother-in-law of Hamas leader Ismail Haniyeh into the country for medical treatment. Maj. Guy Inbar, an Israeli spokesman, says the 68-year-old woman was allowed to enter from the Gaza Strip on Monday to receive cancer treatment at a Jerusalem hospital. A relative in Gaza confirmed she was in Israel. Check it out in this post of ours: "18-Nov-13: When Hamas insiders need the best care around, to which Zionist Entity do they turn?"